Poker players at the World Series of Poker give their predictions for the 2015 NBA Finals. After a long wait following some of the least memorable Conference Finals in league history, the NBA Finals kicked off tonight with one of the most highly anticipated matchups in recent memory. The Cleveland Cavaliers, led by LeBron James in his long-awaited homecoming, have overcome a slow start and some seeming chemistry issues early in the season to face the Golden State Warriors, who spent the past seven months destroying everything in sight en route to the best record in the league. We asked some poker players to give us their predictions on how the NBA season will end. Most expected the Warriors to prevail without too much trouble, but we got a few interesting nuggets as well, including a rundown of the Warriors players' poker abilities by Phil Hellmuth. Aaron Steury: "Warriors in five. The only shot the Cavs have is if Kyrie Irving's healthy and plays well. If he doesn't, I think the Warriors are just going to destroy 'em. The Cavs will win one game on LeBron's talent alone." Eric Crain: "Warriors in six, but I got Cavs at 8-1 before the year, so I'm rooting for the Cavs. But the Warriors are just so good, man. The numbers say they're one of the best teams in the history of basketball." Blake Bohn: "Golden State in five games. Being the best offensive and defensive team is almost unheard of." Dan Sindelar: "I like the Warriors. It's going to be a good series, we'll say Warriors in 7. I just think it's Curry's year." Chris Karambinis: "Golden State, I want to say five, maybe six games. Guaranteed." Randy Ohel: "Golden State in five. I think they're maybe the best team since the dynasty Lakers." Mike Ross: "Warriors in five. You can't stop [Curry, Thompson, and Green] for four games. Can't do it." Blair Hinkle: "I'd say Lebron heroes the Cavs through one game but Warriors win the series in five." Justin Liberto: "Liberto: Warriors in six. Curry's going to win MVP, he's going to average 33 and 8." Matt Alexander: "Golden State in seven, with Curry scoring the most 3-pointers in Finals history. " 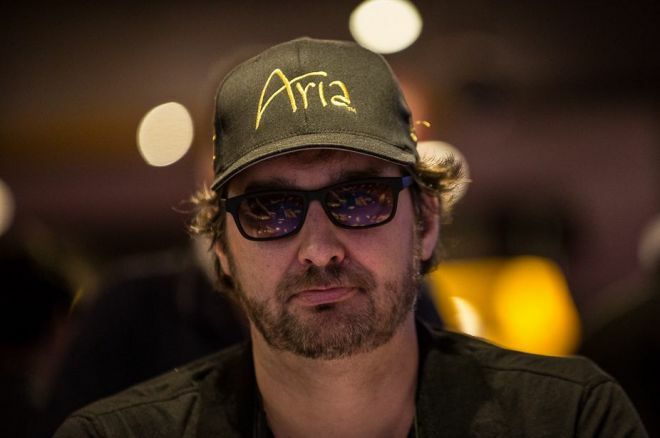 Phil Hellmuth: "Love Golden State Warriors. I like 'em in five. I think they're going to win the first two home games, that place is crazy. My friend owns the team so I sit on the floor around 10-14 times a year with him, so it's just been really fun to watch them. Also, they're all good poker players. David Lee and Andrew Bogut are fantastic hold'em players. Draymond Green's stock is rising, and Steph Curry plays pretty good too. Everybody on the team is playing pineapple OFC. Their IQ for that is really, really sharp." Jesse Sylvia: "My prediction is that someone at my table will talk about LeBron. Then, someone will bring up Michael Jordan and compare them. Then, there will be an argument." Josh Reichard: "My buddy has a lot of money on the Warriors, so I think I'm going to root for him." But who is going to win?